I’m always looking for good quality games to do with students. A few weeks ago I ran across a video based game called “Make It or Break It” that I decided to use this past weekend on our high school fall retreat. The game is simple, but a great way to get your students moving around and interacting. Basically the games includes 25 videos clips of extreme sports athletes (skateboarders, bikers, snowboarders, etc.) attempting crazy tricks. Each video pauses for 10 seconds just as the person is at the height of their trick. Your students then have to decide does the person “make it” or “break it.” This is where you can add your own flavor to the game. 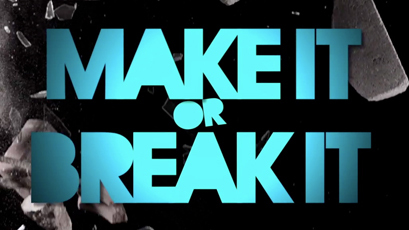 I had students go to one side of the room for “make it” and another side for “break it.” You can do whatever seems to best for your students and what gets them interacting and moving the most. After the 10 seconds the clips starts back and you will see if the person makes it or breaks it. I was impressed with the quality of this game. Everything from the graphics and videos are extremely well done. All you have to do is download the video clips and plug them into your program. The good news is this game is totally FREE! All you have to do is go download it from a great youth and children’s ministry resource website called Stuff You Can Use. If you click the link below it will take you directly to the game and there you can find some more info on the game as well as the download.